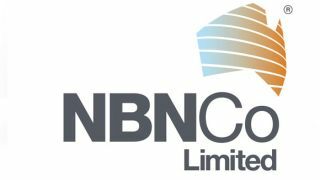 NBN Co today announced that it has formally connected the Tasmanian capital to the new broadband network, with the potential to service more than 1800 homes in Hobart. Hobart residents will have the choice of ten ISPs to connect to the NBN through, including Telstra, iiNet, iPrimus and Internode. NBN Co's Lalla McKenzie says this variety of service providers should fuel competitive pricing for the new high-speed services. "Every provider has equal access to the network and NBN Co's prices are the same in the city and the bush." said McKenzie in a statement. Hobart is far from the first region of Tasmanian to be switched in the NBN roll-out, with multiple areas around Launceston already online. NBN Co expects to complete the roll-out in Tasmania by the end of 2015. To showcase the potential of the NBN to Hobart residents, Australia fast bowler Brett Lee gave a cricketing masterclass to local kids over webcam, with the stream projected to big screens during the one-day international between Australia and the West Indies.